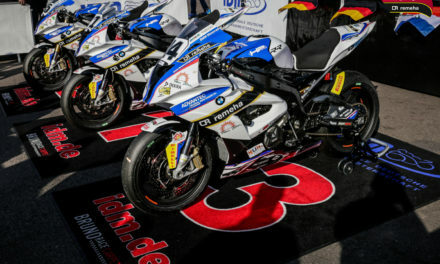 (EN) alpha Racing-Van Zon-BMW confirms IDM rider line-up 2019. 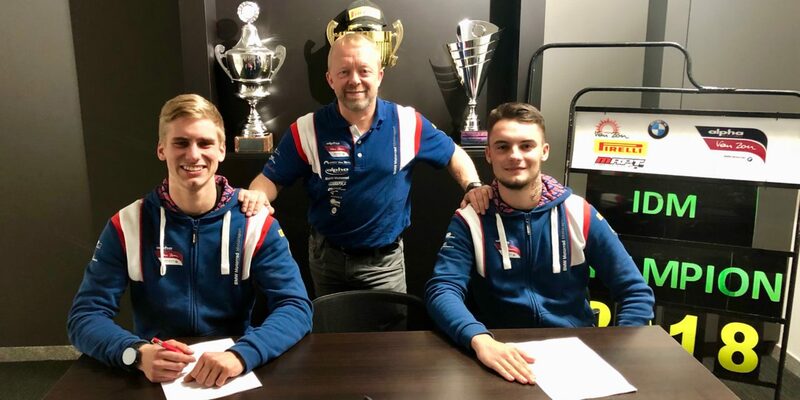 Team alpha Racing-Van Zon-BMW confirms Ilya Mikhalchik (UKR) and Julian Puffe (GER) for the 2019 IDM Superbike season. Team Principal Werner Daemen relies on the proven rider duo and on the new BMW S 1000 RR for the upcoming season. 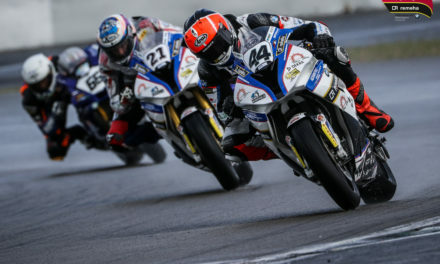 Reigning IDM Superbike Champion Ilya Mikhalchik won nine out of 14 races in his rookie IDM season, securing six of seven pole positions. The goal remains the same for the new IDM season – only the title counts. 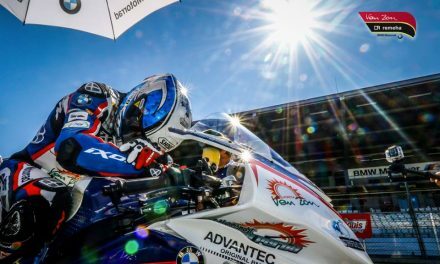 Julian Puffe, overall third in the IDM Superbike 2018, once again gets the chance to clinch his first victory in the highest German motorcycle championship with his alpha Racing-Van Zon-BMW Team. The German celebrated the first pole position of his career at his home race in Schleiz and aims for higher goals in 2019. Previous(DE) alpha Racing-Van Zon-BMW bestätigt IDM Fahrerduo für 2019.